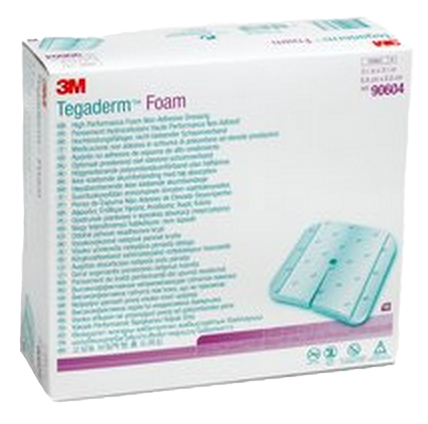 Tegaderm Foam Non-Adhesive Dressing by 3M is a high-grade wound dressing made with a fast wicking, non-swelling polyurethane foam that is designed to provide high absorbency with high breathability to reduce the risk of wound maceration. 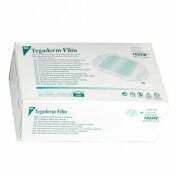 The dressing also has a highly breathable backing that prevents wound exudate strike through, as well as providing a barrier to outside contamination while the dressing remains intact without leakage. 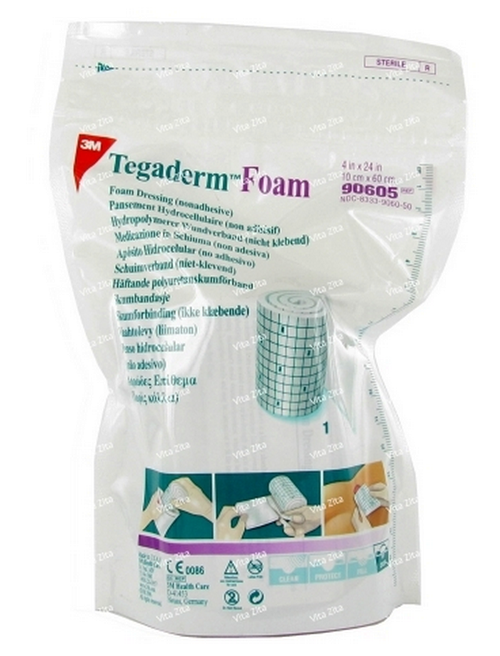 Tegaderm Foam Non-Adhesive Dressing is commonly used by medical professionals as an application for heavily draining wounds to prevent skin maceration, frequent dressing changes, as well as reducing patient discomfort. 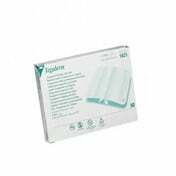 The dressing does not stick to wound beds and will thereby ensure steady healing without interuption. 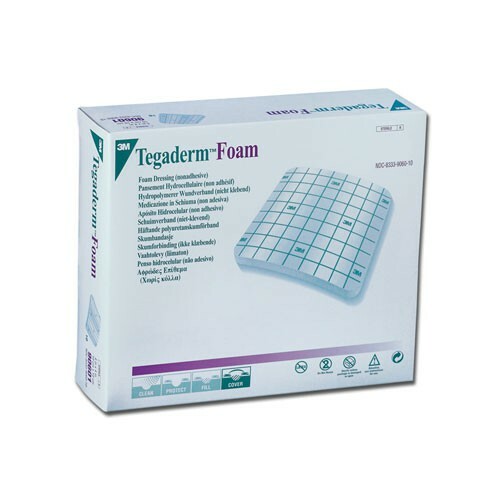 Vitality Medical also carries other Foam Dressings, such as Mepilex Border Dressing. 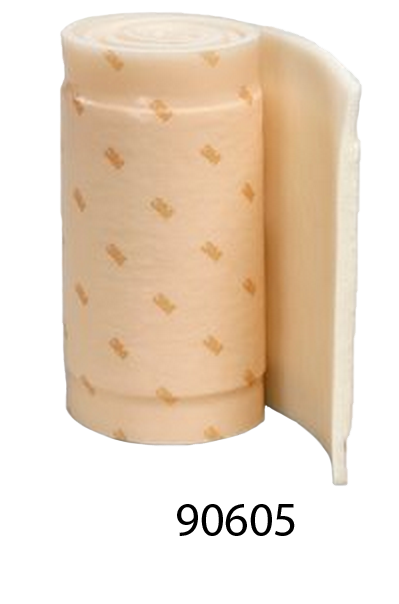 Unique Multi-Layer Design Provides High Absorbency With High Breathability to Reduce the Risk of Maceration. 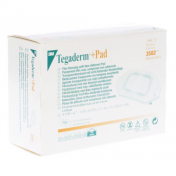 Adapts to Changing Levels of Exudate to Maintain Moisute Balance For Optimal Wound Healing. 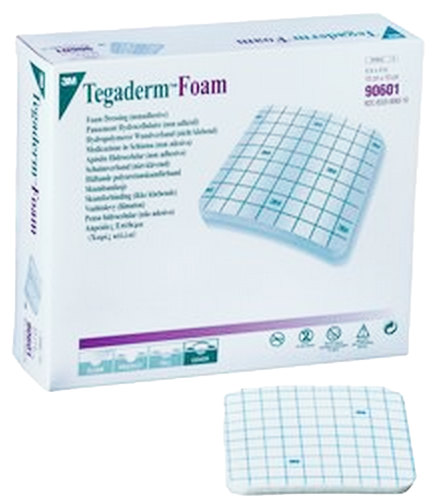 Demonstrates High Fluid Handling Capacity Under Compression. Dressing Does Not Stick to Wound Bed Thereby Minimizing Disruption of Healing Tissue. 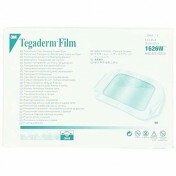 Film Backing Prevents Strikethrough and Protects Against External Bacteria and Viruses. 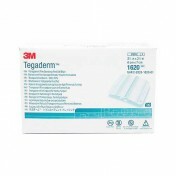 I'd like to show you the application of the 3M Tegaderm Foam Non-Adhesive Dressing. 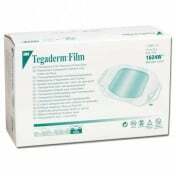 Remember to always follow your facility guidelines for infection control and to prepare your wound and pair your wound skin according to your directions. For this simulated wound here, I would like to select a dressing that allows about one inch or 2.5 centimeters’ overlap on to the surrounding skin. 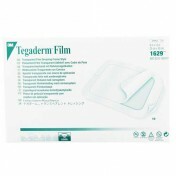 For this particular wound, I'll select the four inch non-adhesive dressing. 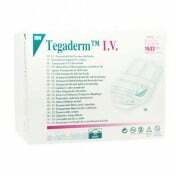 Before I show you the actual application of the dressing, I would like to point out a few features of each package of the Tegaderm advance wound care product line. The packages all include an actual graphic illustration of the product that's in the package. They also have basic icons of application technique so two or three photos showing the correct application. 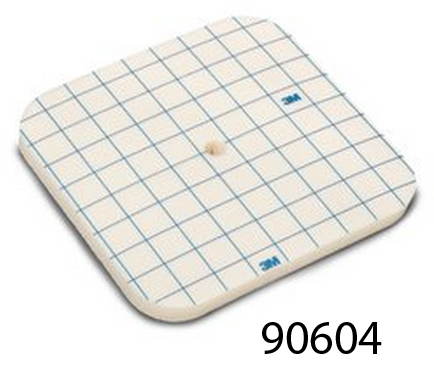 There's also a ruler that's helpful if you need to use it for measuring your wound. The back of the packages also are clear and they allow you to see the product directly as you select it from the shelf. Now, I'm going to remove the dressing from the package and I'm going to center it over the wound. 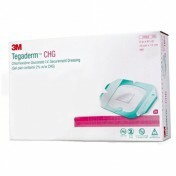 The security of this product can be accomplished in several ways. You can certainly use tape. I’ll demonstrate, you would border the edges, a one inch or two-inch would be appropriate. 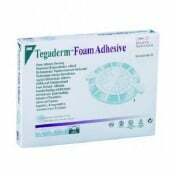 For some patients you may not want to use adhesive products. 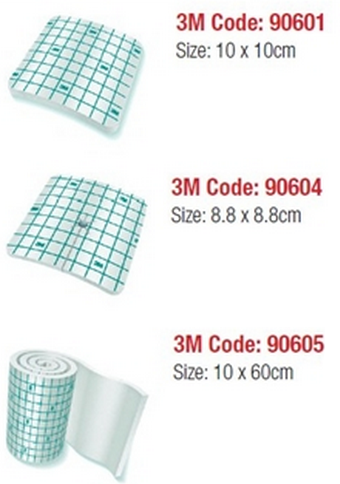 There's a number of products that you have available in your facility including gauze roll perhaps or a tubular type of stocking, a stockinet or you can also secure it with a cohesive bandage such as 3M co-band self-adherent wrap. 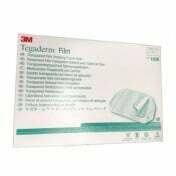 The application of a self-adherent wrap is that you would unwrap it about 12 inches, allow it to relax and bring it around the dressing and secure it with overlaps with just enough tension to secure it. This dressing should be changed when there is evidence of exudate spreading towards the edge or if there's actual leakage from the dressing. It can be worn up to seven days. 5 th order of these.